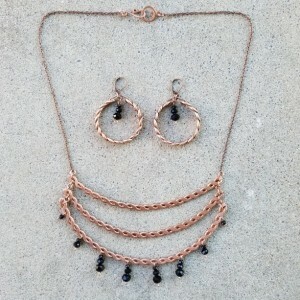 Handcrafted copper wire earrings with green stones and hook style piercings. One and a half inches long. 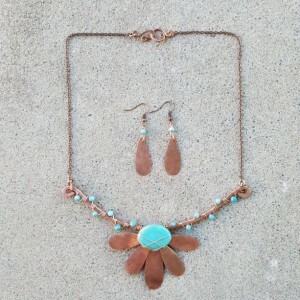 Made with reclaimed copper.